Located on SW 14th Ct off W McNab Rd and SW 31st Ave, Extra Space Storage serves residents of Pompano Beach, Palm Aire, Sea Ranch Lakes, Oakland Park, Lauderdale Lakes, and more. Locals will recognize our facility a few minutes southeast of Publix Super Market at Palm Aire. 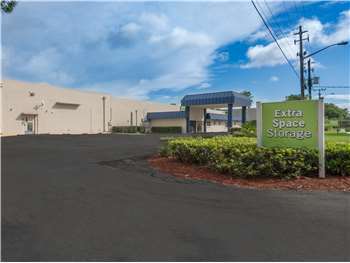 With a variety of storage units, climate-controlled storage, vehicle storage, and exceptional security, Extra Space Storage on SW 14th Ct has what you're looking for in Pompano Beach! No matter what you plan to store, our SW 14th Ct storage facility has the perfect space for you! We have units as small as 25 square feet and as large as 300+ square feet with indoor access and first-floor access. With advanced security measures like an on-site resident manager, 24-hour video surveillance, and electronic gate access, you can store valuable items with peace of mind at Extra Space Storage. Protect delicate items from Florida's extreme heat and humidity in a climate-controlled unit. With climate control, your storage unit maintains an environment between 55 and 80 degrees year-round. Need to store a car, motorcycle, boat, or RV in Pompano Beach? Extra Space Storage offers secure outdoor parking space that can accommodate vehicles of all sizes! With a well-maintained, secure facility and a friendly, professional team, you can expect nothing but the best from Extra Space Storage. We go the extra mile to ensure you have reliable self storage with excellent customer service. 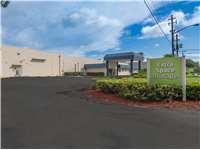 Contact us today to reserve a storage unit in Pompano Beach! This place is very clean and the storage spaces are big and great prices. I really recommended. We are very satisfied with our choice in this location and Jimmy made it stress free. the employee is very kind, good attention and the access to the facilities it's not complicated. Drive south on Powerline Rd. Turn right onto W McNab Rd. Turn right onto SW 31st Ave. Turn left onto SW 14th Ct. Our facility will be on your right. Drive north on Powerline Rd. Turn left onto W McNab Rd. Turn right onto SW 31st Ave. Turn left onto SW 14th Ct. Our facility will be on your right. Drive west on W McNab Rd. Turn right onto SW 31st Ave. Turn left onto SW 14th Ct. Our facility will be on your right. Drive east on W McNab Rd. Turn left onto SW 32nd Ave. Turn right onto SW 14th Ct. Our facility will be on your left.